Our client approached us with abit of a tricky job. They import bullbars and needed a domed sticker to be fitted onto every bullbar that is sold. The one catch is that they are powder coated. Applying vinyl stickers to a powder coated surface let alone that it is already curved, makes it a daunting task to start off with. So after trying a few different vinyls we had to settle on using cast vinyl. Which wasn’t ideal because it pushed up the cost price for the client, but no conventional vinyl was working. When we tested on monomeric vinyl the domed stickers just started peeling off the bullbars after a period of time. We also used soft resin for this job because it didn’t have as much pull back. The other underlying issue was the artwork, we weren’t allowed to use the logo design of the actual car companies due to legal complications. So our designers made some changes, but still tried to keep a funky fresh feel that would be pleasing to their clients. So we came up with some new designs and in the pictures is one of the brands, which was actually the logo design that was mostly ordered. The client ordered around a thousand domed stickers, which took abit of time to complete. 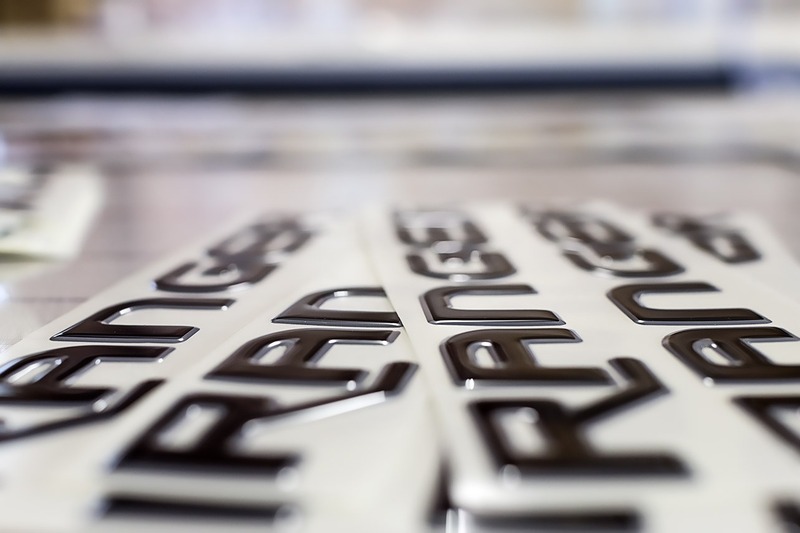 Whenever you doming lettering its never as quick as doming straight forward 30mm diameter stickers. Always have to be careful of any over spill on the corners of the letters, or the resin not running completely to the edge of the vinyl can also give headaches. Our team is experienced in the doming industry and our machinery has upgraded over the past few years, so we were able to make easy work of this. 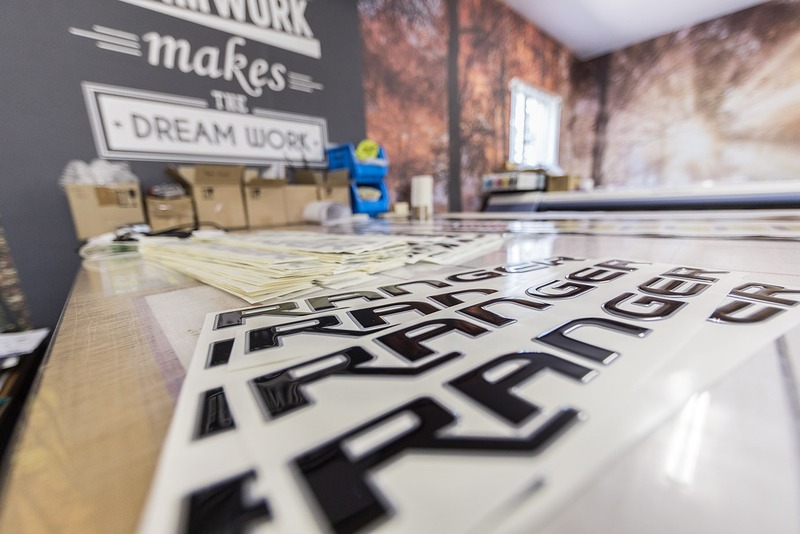 Contact us for any domed stickers that you may need, whether is a standard logo or a more complicated text logo, we would gladly help out.